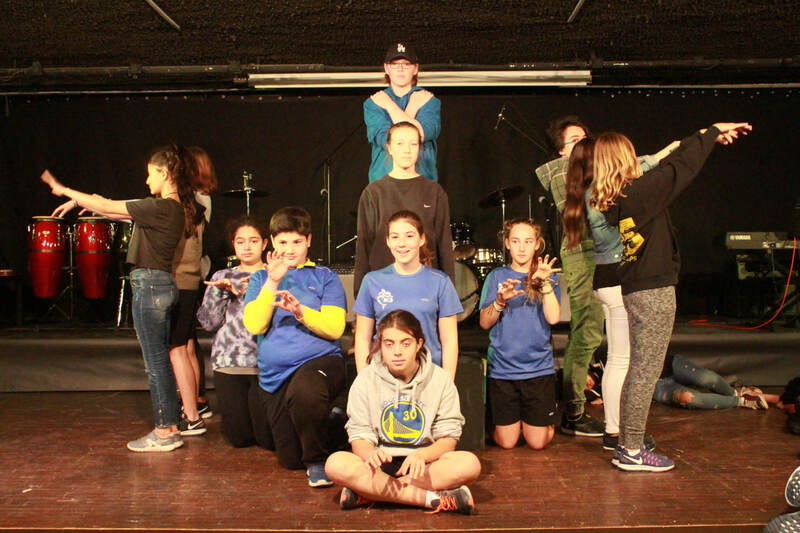 MS Drama consists of drama workshops with a focus on developing drama skills - more specifically developing knowledge and understanding, developing skills, thinking creatively, and responding to drama. History of Greek Theatre explores the extensive history of Greek theatre and the purpose of the chorus. Students focus on developing vocal techniques including chorus skills at speaking in unison. Students create sketches based upon Greek myths, which are performed at either the Winter Arts Showcase (Semester 1) or the Spring Arts Showcase (Semester 2). Production Team engages students in personalising their learning by choosing technical and performance roles of interest to them. Students engage in developing production skills utilising the design cycle as a tool to investigate and create designs for their chosen roles within a Production Team. Students collaborate as a ‘Production team’ to produce and perform selections from works including Matilda, The Witches and James and the Giant Peach. Students will perform at the Winter Arts Showcase (Semester 1 classes) or the Spring Arts Showcase (Semester 2 classes). Students maintain an 'arts process journal' to record and reflect on their learning. 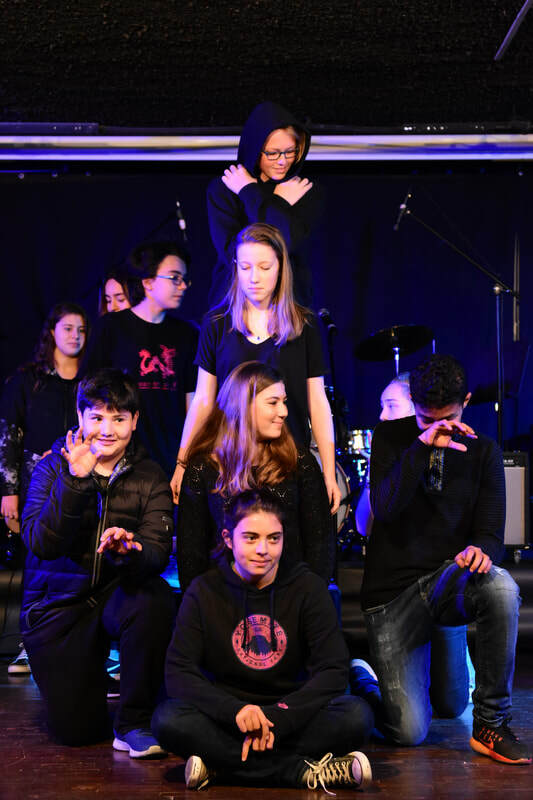 Production Team engages students in creating performances as a team and personalising their learning by choosing technical and performance roles of interest to them. Students engage in developing production skills utilising the design cycle as a tool to investigate and create designs for their chosen roles within a Production Team. Students collaborate as a ‘Production team’ to produce and perform selections from works including Matilda, The Witches and James and the Giant Peach.